With the toughness of vinyl and the beautiful textural quality of flat-woven textiles, our woven vinyl flooring can be used like either. 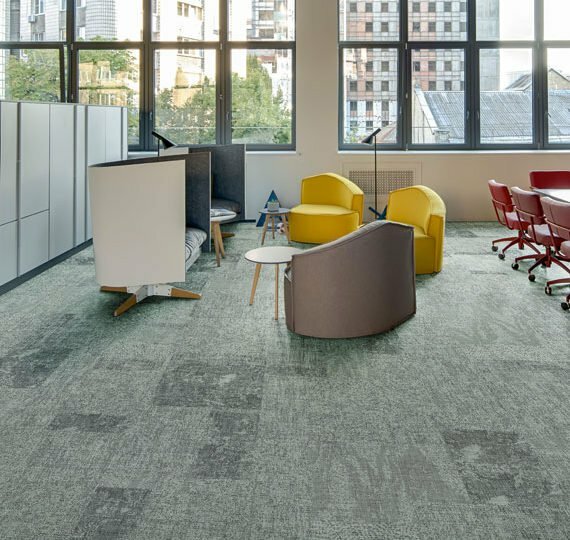 Durable and tough for heavy use areas, or a textural lift in working and breakout spaces, it doesn’t really matter. 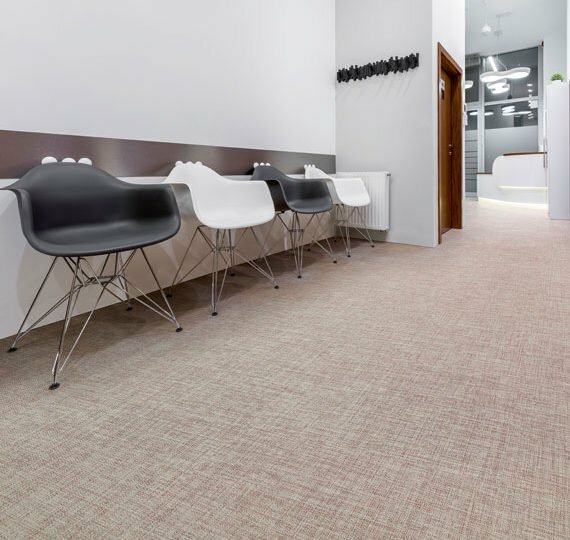 Woven vinyl is a relatively new type of flooring and its look brings a surprising aesthetic to workplaces. Its high-quality PVC and glass-fibre yarn is woven into beautiful and elegant textures, colour infused to create designs that can be bold or subtle, each with an iridescent quality that remains eminently sophisticated. 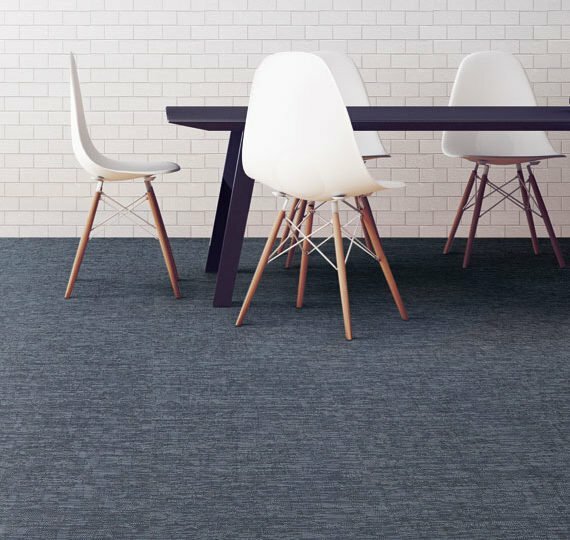 This is woven vinyl flooring that can be used in areas traditionally off-limits, a way to break with convention thanks to its faultless performance. As standard our woven vinyl products are produced in 50cm x 50cm tiles. In addition you can choose 2 metre wide sheet for direct adhesion, or our innovative Whisper option, also available in 2 metre wide sheet when additional sound absorption is required. And new for 2019 is a wonderful shapes collection and our new rug collection. A timeless, honest texture that echoes beautiful natural fabrics like linen and calico. This design is so tactile and organic it will look fabulous in any setting. Oozing class and elegance, Noble is a complex, small scale design that echoes old stone floors and distressed mosaics from a bygone era. Bold and original this large-scale design will appeal to those who are ready to explore and be daring. With echoes of travertine and the iridescence of snakeskin this pattern will not disappoint. 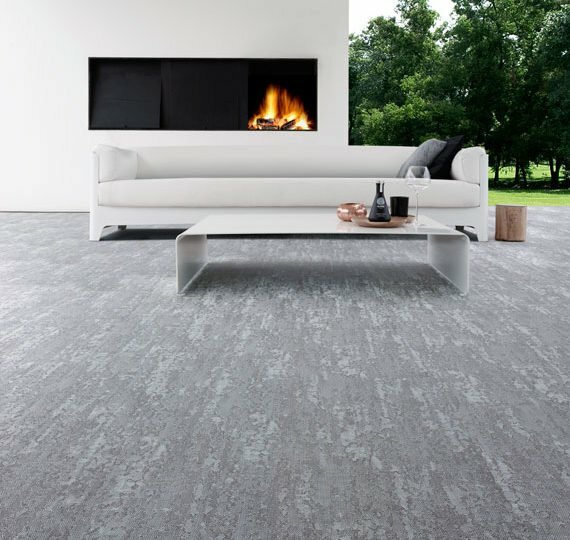 Wild is just that, a dynamic patchwork of organic shapes and textures that creates an ever-changing floorscape.